Anything you read here in the next few minutes should be taken with a grain of salt, because the field of self-publishing is changing so fast that information presented today might be outdated tomorrow. For now, here”s the skinny. First, a little background. In case you weren”t aware, the traditional publishing industry is in the process of having their heads handed to them on a platter courtesy of ebooks, Print On Demand (POD), and social media. The industry has bifurcated, with the Big Six publishers in New York taking accepting only mega-sellers with last names like King, Clancy, and Rowling. Meanwhile, small, independent publishing houses are clinging to their desire to bring only “literary” works to market, which leaves the vast majority of writers on the outside looking in. The big names” mentioned notwithstanding, advances have almost disappeared, except in cases where a new author has already proven there is a market for their books. This means you now have a better chance to sign with a major publisher if you go the self-publishing route, first proving you can build a network of interested readers through social media. To those of us who have been around the industry for a while, this seems completely opposite to the way business once was done. You”re not imagining things. Self-publishing used to be the kiss of death for garnering any traditional publisher interest. If you had already paid to put your own book into the market, they wouldn”t touch the project. But these days, with hard copy sales of books plunging into the toilet, publishers are so paranoid about buying a book that doesn”t sell, they want the author to already prove they are a good financial risk before any advance or contract will be offered. Holy mackerel! The question that pops into our head is why the heck would you want to accept the pitiably low royalty rates offered by major houses if you”re already selling books on your own? We”re not just talking a little difference either. Self-publish your own digital ebook for Kindle through Amazon and earn 70% based on cover price. Compare that to around 5% when you sign a publishing contract and let the one of the Big Boys distribute it. Of course, they do still offer a much larger stab at the marketplace but here”s the rub. Unless by some freak of circumstance your book sales take off quickly, they are not going to sink much marketing money into telling the world your book is ready for purchase. 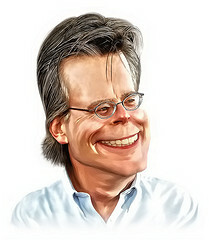 Why would they if they have Stephen King”s latest tome taking a position on the starting line? So should a brand, spanking new author decide to self-publish rather than pursue big time distribution? Our solid answer to that is…maybe. The jury”s still out.